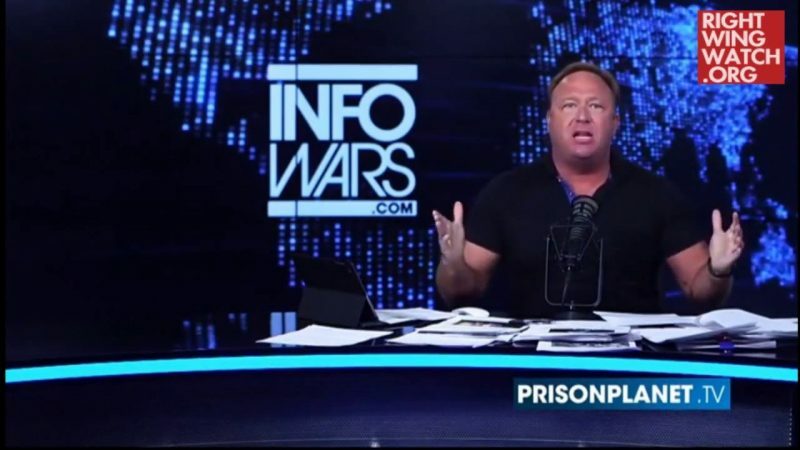 Yesterday, the Infowars network floated conspiracy theories about a liberal plot to use drag queens reading books to children in order to “sexualize” them, leading Infowars host Alex Jones to suffer a complete breakdown and nearly throw his chair across his desk into his camera operators. Yesterday, in the latter half of “The Alex Jones Show,” Jones made numerous allegations that a series of events where drag queens read books to children at public libraries had sinister intentions. 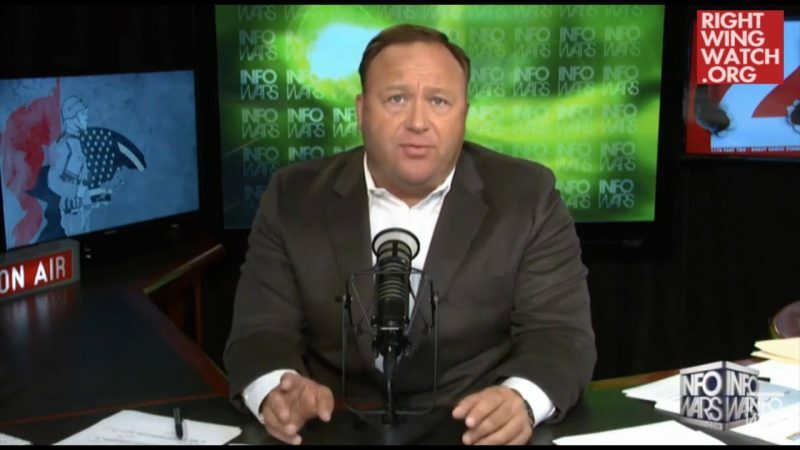 By the end of his rant, Jones became completely unhinged and began claiming that the drag queens “have their way with children” in “space alien” and “demon goblin” outfits, even roping in baby giraffes.